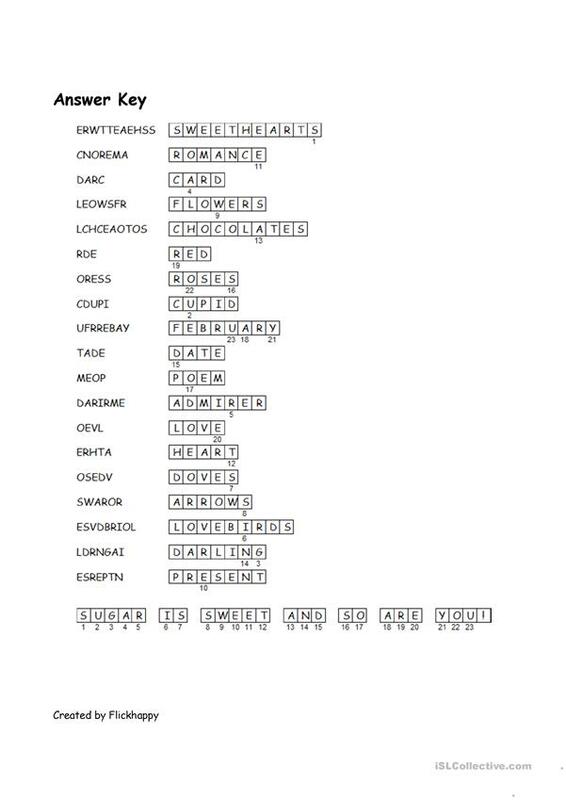 This work sheet contains scrambled valentine related vocabulary. 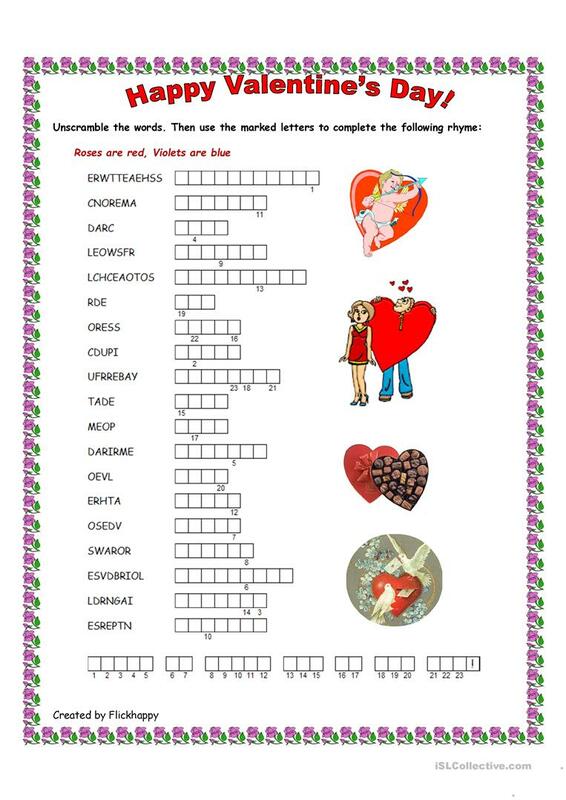 There is also a second puzzle to solve complete a well known poem. The present downloadable teaching material is meant for adults at Intermediate (B1), Upper-intermediate (B2), Advanced (C1) and Proficient (C2) level. It centers around the vocabulary topic of Valentine's Day. There is an answer key provided with the exercises.